Former Gov. Mike Huckabee, R-Ark., is flirting with a presidential bid once again. Huckabee rode a wave of enthusiasm among social conservatives to claim the Iowa Republican caucuses in 2008 before eventually flaming out. He also publicly entertained the idea of running in 2012 before ultimately deciding against it. But 2016 could be different, he said. “Business, people some would maybe call the establishment,” he explained. Huckabee’s strong support among the religious right enabled him to claim victory in Iowa in 2008, but a lack of national infrastructure – and national money – deprived him of oxygen in later contests, where Sen. John McCain, R-Ariz., prevailed before ultimately becoming the Republican nominee.
} Since then, Huckabee has maintained a busy schedule on the speech circuit. In 2012, he began hosting a daily talk-radio show, but the show’s last broadcast was Thursday. Huckabee spoke with the Post while he was in Little Rock, Ark., to deliver the keynote address at an event sponsored by the American Renewal Project – a social conservatives’ outfit that encourages pastors to become more involved in politics. 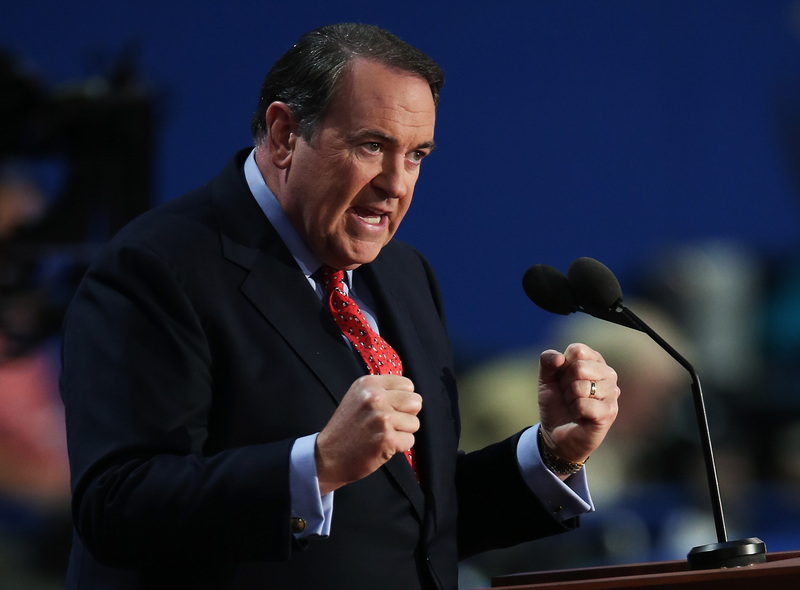 According to the Post, Huckabee, who used to be a pastor himself, held a private sit-down after the event with a group of pastors from Iowa and South Carolina – two crucial early states in the presidential nomination process. The former governor, who has emphasized a salt-of-the-earth message before, said the Republican Party needs to speak to the concerns of a “broader spectrum” of voters. “One of our failures is the ability to speak to African-Americans, to speak to Hispanics, to speak to working class people – more than just speaking to the board room, speaking to the people who go in and clean up after the meeting,” he said.